Massachusetts first-time home buyers have a lot to think about, and obtaining an affordable home mortgage is certainly one of those considerations. Fortunately, first-time home buyers have some options to obtain a straightforward, low down payment mortgage, with competitive rates. There are a few home loan programs that benefit different types of first-time home buyers; however, the two best arguably are the Massachusetts Housing Partnership ONE Mortgage and the MassHousing Mortgage. Both mortgage options have income limits and other requirements. The Massachusetts Housing Partnership, a public, non-profit affordable housing organization, offers home buyers who fall into the low- to moderate-income category the "ONE Mortgage" loan program. The Massachusetts Housing Partnership (MHP) used to offer what was known as the Soft Second, or "SoftSecond," Loan Program, which had a two-mortgage structure. By 2013, the SoftSecond loan program had helped more than 17,000 families purchase their first home in the Bay State, with more than $2.6 billion in private mortgage financing; however, MHP has transformed the program from a two-mortgage structure to the One Mortgage Program. One Mortgage offers lower-income home buyers the same affordability as before, but with a simpler one home loan structure. As of April 2014, there were approximately 25 lenders that participated in the One Mortgage Program. Those lenders offer first-time home buyers a discounted 30-year, fixed-rate mortgage. There are not any points charged by these participating lenders. Home buyers must put down a minimum of 3 percent of the purchase price when purchasing a single-family property, condominium or two-family house. The borrower must occupy the property. Of the 3 percent down payment, 1.5 percent is required to be from the borrower's own savings, but the remaining amount can be a gift or down payment assistance. The remaining amount of the down payment cannot be another loan. Most conventional loans require at least a 5 percent down payment. For a $300,000 purchase price ($9,000 down payment), a 3 percent down payment is $6,000 less than what a home buyer would need for a 5 percent down payment loan. For the purchase of a three-family home, the One Mortgage Programs requires a minimum down payment of 5 percent of the purchase price. The home buyer must have 3 percent of the 5 percent down payment in his or her own savings. Probably the biggest benefit of the One Mortgage Program is that it does not require home buyers to purchase private mortgage insurance (PMI), sometimes just referred to as mortgage insurance or MI. Not having to obtain costly PMI saves a home buyer hundreds of dollars every month. Conventional loans require PMI until the borrower reaches 20 percent in equity, which can take several years to reach. Presently, FHA loans require PMI for the life of the loan. Without PMI payments every month, home buyers save thousands of dollars over the first several years of the loan. Income eligible One Mortgage Program first-time home buyers may also qualify for a subsidized monthly payment in the initial years of ownership. The subsidy is automatically applied to the homeowner's monthly mortgage statement by the lender and helps pay a portion of the mortgage payment during the first seven years of home ownership. 2. The borrower must complete an approved home buyer education workshop prior to purchasing the home. 3. 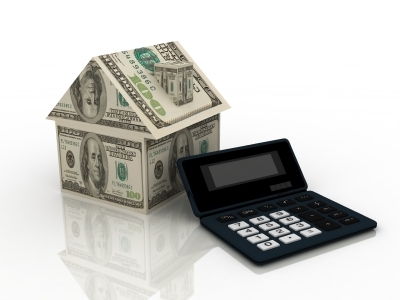 Home buyers must meet household income guidelines for the program. The 2014 income limits vary by community and household size. For example, a household of three (3) purchasing in Stoneham, MA (Middlesex County) may have a household income up to $84,690 in 2014. Suffolk County (Boston) has the same income limits. If that same family/household of three has a household income below $67,800, they may be eligible for a subsidy. 5. The home buyer must agree to use the home purchased as a primary residence through the term of the loan. After closing, One Mortgage Program home buyers must complete a post-purchase homeowner workshop called HomeSafe. Home buyers have 12 months after the closing on their home to complete the workshop. MassHousing supports affordable home ownership for Massachusetts residents with modest incomes. Although all MassHousing home buyer programs have income limits, many home buyers are surprised by how much income they can earn and still qualify for a MassHousing mortgage. MassHousing partners with banks, credit unions and mortgage companies, but not all lenders can provide MassHousing loan products. The MassHousing Mortgage has a variety of benefits for home buyers that are not available with most conventional loan programs, with maximum income limits as high as $123,120 (as of 2014). The income limit varies by city and town; however, the maximum limit is available in all communities in Essex, Middlesex, Norfolk, Plymouth and Suffolk counties. The income limit in Worcester County is $109,755. There are also mortgage loan limits based on the type of property a home buyer purchases. MassHousing Mortgage loans, which have competitive interest rates and fixed-rate terms, allow for 97 percent financing, with no cash required on single-family homes and condominiums. In other words, the 3 percent down payment can be a gift from someone else. Rate locks of 30 to 75 days are available, as well as non-traditional credit considerations, such as limited credit history. Home buyers must still meet a lenders underwriting requirements. A MassHousing Mortgage loan features MI Plus, a MassHousing mortgage insurance program that helps a homeowner pay his or her mortgage, up to $2,000 per month, in case of a job loss for up to six months. The MI Plus protection is free for every MassHousing borrower. The MassHousing Mortgage With No MI provides first-time home buyers with the same benefits as the MassHousing Mortgage, but without the extra cost of monthly mortgage insurance (MI), which also is referred to as private mortgage insurance (PMI). The no MI program provides for financing up to 97 percent for single-family homes and condos and 95 percent for two- to four-family houses. The fixed interest rate is slightly higher than the MassHousing Mortgage, but the total monthly mortgage payment likely will be less, for home buyers putting down less than 20 percent. A mortgage professional that handles MassHousing loans will be able to provide a detailed analysis showing a home buyer whether the MassHousing Mortgage or MassHousing Mortgage With No MI is a better fit for their personal circumstances. MassHousing announced on May 20, 2014 a new lender-paid mortgage insurance (LMPI) program that increases a borrower's home-buying power. Through the program, the lender pays the full mortgage insurance premium for the borrower at the time of closing, which is good for the life of the loan. This cost is offset by a higher interest rate on the mortgage, compared to a loan with borrower-paid MI (BPMI). Even with the higher rate, the LPMI loan likely will result in a lower monthly payment for the borrower for the first several years of the loan. The LPMI program is best suited for home buyers who expect to sell their home, refinance or pay off their mortgage within 10 to 15 years. Because the higher interest rate of a lender-paid mortgage insurance loan remains in place until the loan is refinanced or paid off, and because borrower-paid mortgage insurance can be canceled once the loan-to-value reaches 80 percent (the equivalent of a 20 percent down payment), the borrower-paid (home buyer paid) mortgage insurance loan is a better choice for home buyers who intend to keep their mortgage for more than 15 years. There are other loan programs, such as a FHA loan or a VA loan, that may benefit Massachusetts home buyers, so speaking with a real estate professional and mortgage representative is an important first step in the home-buying process.